The completion date has to be flexible, and map pre-paid. There are some bodies of water that are just too small for large manufacturors to pursue and since they are not part of the inventory of lakes in the DENR data base you will not find them on most GPS units. Just getting to these lakes can be a challenge because most fishermen have not heard of them. However when you use the Lake Locater found here you will be able to punch in a waypoint and head to that little known lake.What makes my maps different? First you can take and look at the whole map at one time. If you are looking at a mapping GPS you only get a small picture of what you are looking at. 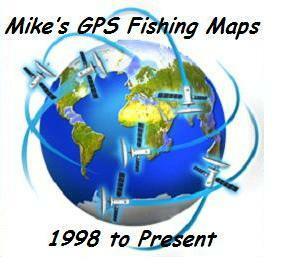 Most GPS maps were taken from the maps you can get for free from your state DENR. They were calibrated to fit in the manufacturors unit. I have used many different sources of information and researched each lake to find important structure that was missed on the DENR map survey. As an example; what other map of Lake Thompson can you find nearly 60 stock dams and level trenches that show up as structure and Boat ramps that are accurately shown? Big companies do not go the extra mile in the research department to provide its customers with the best possible map of that lake.